BMWC is celebrating another successful Safety Week along with several other achievements across various offices. Be sure to check out BMWC’s 2017 Safety Week highlights below! SAFETY is a core value at BMWC, and our commitment to this value is reflected in these prestigious awards. Congratulations to all for your outstanding work! Three Rivers Manufacturers’ Association (TRMA) – Award for Meritorious Performance. 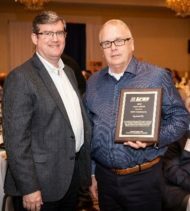 This award recognizes leaders in safety and celebrates their contribution to 1 million hours without a recordable injury at a TRMA plant in 8 years. The Meritorious Performance award is granted to companies for their adherence to an OSHA Total Recordable Incidence Rate (TRIR) of 0.6 or less for TRMA operations and a TRIR of 2.0 or less overall. Northwest Indiana Business Roundtable (NWIBRT) – Safety Achievement Award. This honor is awarded to contractors who exhibit innovative and superior safety accomplishments. The Northwest Indiana contractor community is nationally regarded for its safety standards and statistics. Stark County Safety Council & Ohio Bureau of Workers Compensation – 100 Percent Award. This is in recognition of working the entire year of 2017 without a lost-time injury in Canton, OH.